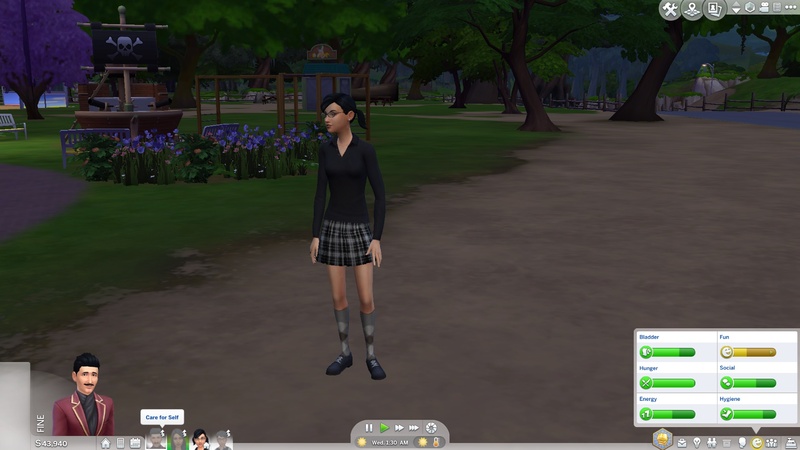 In an unmodded game, if the player or the game sets a sim's off-lot tone to "Care for Self", the game will attempt to increase the sim's needs one by one. However, when it is time to increase a sim's hunger, the game gets stuck and attempts to continuously increase the sim's hunger, even if the sim's hunger is full. At that point, the game cannot increase any other motive that the sim has. If you re-click "Care for Self", the game will attempt to increase some of the lower needs, but eventually will get stuck when it is time to increase hunger again. This is why, when you take your sims to a lot, but leave some of your other sims on another lot, and when you come back to the previous lot, you will find your sims with full red motive bars except hunger. This mod fixes this oversight. 294 people have said thanks to simler90 for this download.